If you are in or near the Harrisburg area searching for Ford dealerships near you for your next car, you don’t need to go far! Bob Ruth Ford is only a short drive away from Harrisburg used car dealerships. You may ask yourself on why you should make the drive from Harrisburg for used cars. Give us the opportunity to show you buy coming to Bob Ruth Ford. You won’t be disappointed at our selection of used cars for sale near you! We have a wide and diverse selection of used cars, trucks, minivans, and SUVs for sale. You will find used cars that offer impressive MPG to minivans and SUVs to trucks. There is something for just about every style and need when it comes to your daily transportation needs at our Ford dealership near you. We understand that the decision is sometimes difficult when it comes to finding your next vehicle. Like many drivers, you plan on spending many great years with this car. You want it to not only meet your current requirements but also your wants and needs for the future. That is why, here at Bob Ruth Ford, we are here to help find the perfect used car for you. Our Ford dealership sales team makes it a top priority is to help you determine which car, truck, minivan, or SUV will suit your needs and style best. We are here to answer all the questions you may have to guide you in the decision making process. Come to see us at Bob Ruth Ford and find out why we are the only Ford dealership that you need to go to for your next vehicle. Are you looking for cheap used cars for sale near me? If you are looking for a used car on a lower budget, check out what we have to offer in our selection of cheap used cars for sale near you. Quickly pull up only cheap used cars for sale near you when you are on our easy to navigate website. 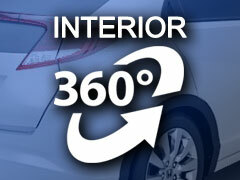 You can also find out your trade-in value, fill out credit information, and more. With safety being high on the priority list, you can find many standard safety features on the cheap used cars for sale near you that are sure to impress. Including airbags in multiple locations on the vehicle, anti-lock brakes, child safety locks, and more. Like lower anchors and top tethers for child safety seats and 3-point safety belts. You don’t have to give up on the creature comforts either when looking at cheap used cars for sale. Even on a small budget, you will find that many of our cheap used cars for sale come well equipped. AM/FM Stereo, Air Conditioning, and Power Steering are a few of the features you can find on the cheap used cars for sale near you. Check out one of our cheap cars for sale near you that offer cruise control, power windows, and power locks as well. This just shows you that whether you need an affordable used car for sale for work, pleasure, or both, you won’t have to sacrifice the amenities that you have been accustomed to having. If you are searching for luxury amenities on a used car without the hefty price tag, we have you covered there as well. You can find cheap used cars that come equipped with leather seats, remote start, heated front seats, and more. We have over eighty cheap used vehicles available to PA drivers just waiting to be claimed. Whether it is a cheap car, truck, or SUV that you are after when searching for cheap used cars for sale near me, Bob Ruth Ford has the one for you. Come out to our Ford dealership near you to see our selection of Harrisburg used cars for sale for sale and take one out for a test drive today. Our top priority is to build long-lasting relationships with our customers. We want you to come back for all of your vehicle needs. That includes servicing your vehicle and taking care of any parts and accessories needs. We want to ensure that you have the confidence to refer us to your family when it's time for their next vehicle. Make the drive from Harrisburg today and see everything we have to offer you in our selection of cheap used cars for sale near me. We look forward to showing you the difference between Bob Ruth Ford and the rest when it comes to your car buying experience. Call to schedule an appointment to schedule a test drive today at (877) 818-1593. Or, stop in at Bob Ruth Ford today to see our selection of cheap used for sale at 700 North US Route 15 Dillsburg, PA 17019.